Eat Healthy While Watching the Games! It’s game day! You’ve waited all week to watch your favorite team play. You have your jersey on (hopefully you didn’t paint your face). You’ve met up with all of your friends at your favorite sports bar. Kickoff, tipoff, the first pitch, the opening bell, or whatever signifies the start of your game, has happened, and now the waiter has come over to ask you for your order. Now here is the dilemma: You worked out hard all week. Your diet was on point, you drank a lot of water, and it’s paying off as you either shed a few pounds or made improvements to your fitness routine. Do you really want to see all of your efforts being drowned away in fried cheese (also known as mozzarella sticks), greasy hot wings or the grande nachos? Sure, that burger with the cheese embedded right into the meat patty looks great, and the fries are the best complement to that major-league chili cheese burger. And all of that beer, it’s just awesome! But when you really think about it, if you’re going to eat like that, then what was the point of eating healthy and working out four to five times that week? You took two steps forward…why take one or even two or three steps back over the course of a few hours? But on the flip side, you did work hard and you did eat right, so you should enjoy yourself and have some junk food. You just have to find the right balance, which is not mission impossible. You can eat healthy at a sports bar, and you can even enjoy the food without killing the progress that you made during the week. Daina Falk of The Hungry Fan has it all figured out. She swears by three key principles, including moderation, substitutions and leaving out some items. While enjoying the games and your meal, you don’t have to clean your plate or guzzle down all of the beer. Eating less, even if the choices are unhealthy, means consuming fewer calories, and is less hazardous to your diet and exercise program. For people who want to stay on their diet and eat healthy, there are options. 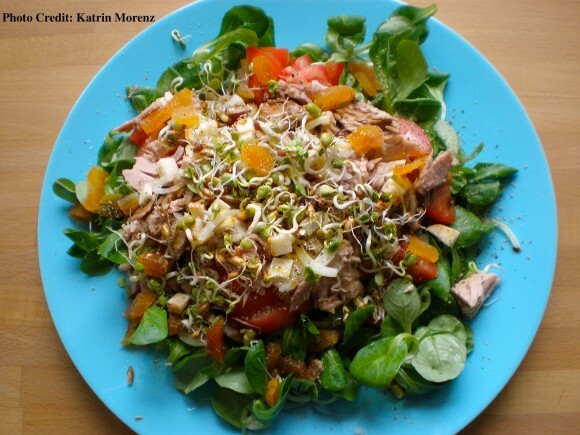 Anything grilled, broiled, or baked is going to be more healthy than fried foods. The grilled chicken sandwich is obviously healthier than the crispy chicken sandwich, which is fried. And you can ask for a whole wheat bun, which is going to be healthier than a white bun, which has a lot of carbohydrates without a lot of nutritional value. If the whole wheat bun is not an option, you can eat the chicken without eating the bun. 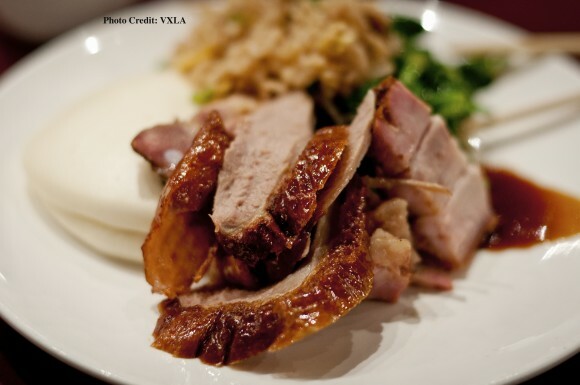 Falk recommends that you watch out for the “fixins,” which are added to the main course of a meal. Extras such as sour cream, creamy sauces and cheese can be avoided by asking for them not to be included with your meal. One example that she uses is fish tacos that come with a side of pico de gallo, sour cream, and guacamole. 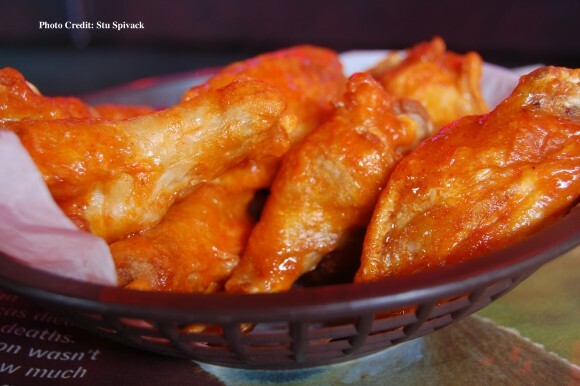 At most sports bars, buffalo wings are king, but they can wreck your diet really quickly. Still, there are options where you can enjoy them without taking on a lot of calories and fat. If there’s an option to order baked buffalo wings, take it over the fried version. But the best option is to eat them without the skin, even if they are baked. You can ask for the buffalo sauce on the side, dip the skinless pieces of chicken, and you will enjoy the great taste of buffalo wings without all of the calories and fat. And since it’s just the meat, it is high in protein, which is great for any diet. Another problem is the side orders. You can order your meal without the sides, but nobody wants to finish their meal and still be hungry. The most popular side order is french fries, which are not a healthy option at all. Now you’re at a bar, so you will be drinking alcohol. That’s really the point of watching the games there. 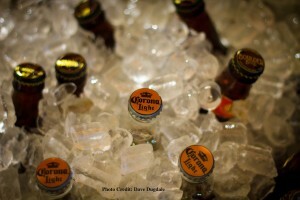 Light beer is an option, because it has fewer calories and fewer empty carbohydrates. That doesn’t mean that you can drink as much of it as you want to without packing on the pounds. Again, moderation is key. When it comes to mixed drinks, watch out for the sugary ingredients, such as soda and juices. Those beverages have a lot of calories that will go right to anybody’s midsection. It sounds weird, but a whiskey on the rocks is not as bad as a whiskey and coke from a calories and sugar standpoint. 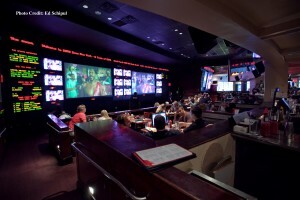 With all that being said, enjoy the games and some good food while watching your favorite sporting event. If you’re smart about it, you won’t throw a wrench into your diet and exercise program, and you’ll still be able to have a great time.